UNESCO has cooperated closely with the European Geopark Network meeting its strict quality criteria right from the start. 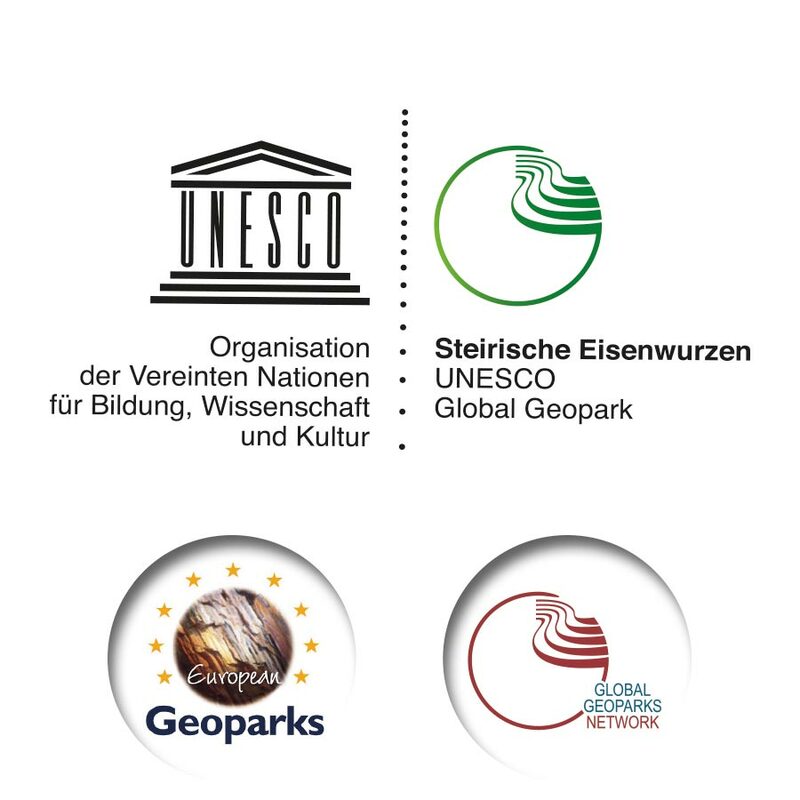 Under the auspices of UNESCO, the European Geoparks are now members of the Global Geopark Network on the one hand, and part of the UNESCO World Heritage on the other. Worldwide, there are 140 different Geoparks in 38 countries, most of them in Europe, while others can be found in East Asia, for instance in China or Japan. Back in 2000, the European Geopark Network was founded by 4 regions. There are currently 73 members in 23 European countries such as Germany, Spain, Great Britain and Italy. In addition to the Styrian Eisenwurzen Geopark, there are three more Geoparks in Austria, one of them in Salzburg and two in Carinthia. In 2002, the Styrian Eisenwurzen Nature Park was awarded the title of European Geopark and in 2004, it became a member of the Global Geopark Network under the auspices of UNESCO. In 2015, it was recognized as a UNESCO Global Geopark as part of the UNESCO World Heritage. A Geopark does not have a distinct degree of protection incorporated in the law, but it hold a title for areas with a particularly rich geological heritage and a strategy for sustainable regional development. A Geopark does not have to focus on its geological potential exclusively, it can also integrate sites of archaeological, ecological and cultural importance creating a link between them via a network. Raising environmental awareness among the public focusing on geotopics related to a specific area. Supporting and promoting academic research in the park. For further information, please go to umweltbundesamt.at. 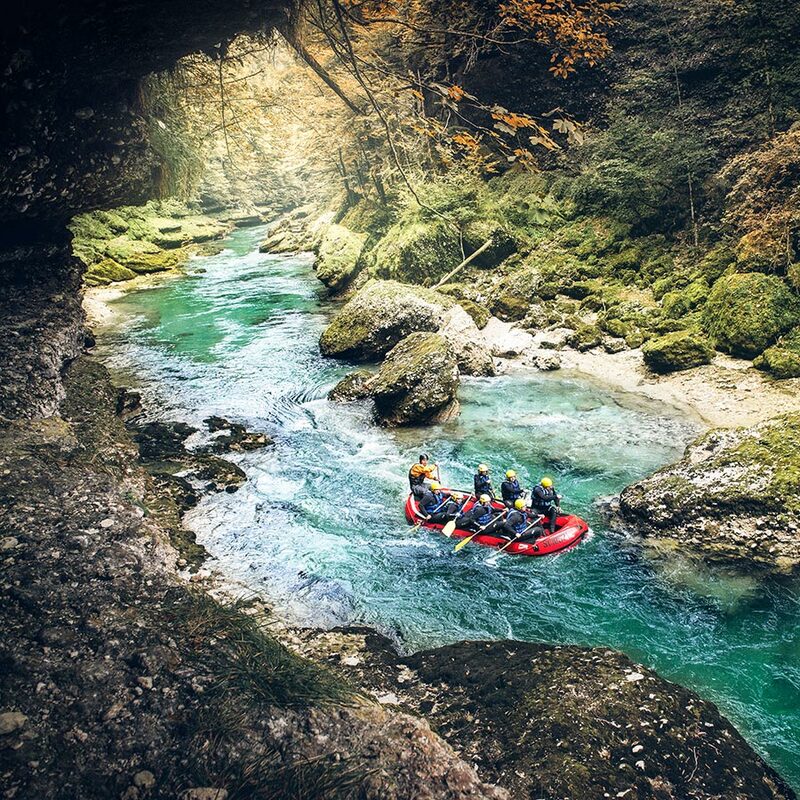 Experience earth’s history in a rafting boat aka “Travel through time, do sports and explore Salza valley”. The whole of the Styrian Eisenwurzen Nature & Geopark is nestled in the Northern Limestone Alps. Most of the rocks found here date back to the Mesozoic Era. At the beginning of this era, 253 million years ago, there was only one single giant continent called Pangaea. The stones of the Limestone Alps were formed on the edge of an enormous bay of this giant continent. 240 million years ago, the sea flooded the landscape shaped by beaches and lagoons. This marked the beginning of the deposition process of limestone and dolostone, e.g. the predominant rocks of the Limestone Alps. The Reifling limestone, named after its occurrence in the Nature & Geopark community Großreiflling, is one of the oldest rocks. The rocks typically occur in the form of irregularly shaped, dark grey chert nodules arousing from the dissolved siliceous skeletons of radiata and sea sponges. 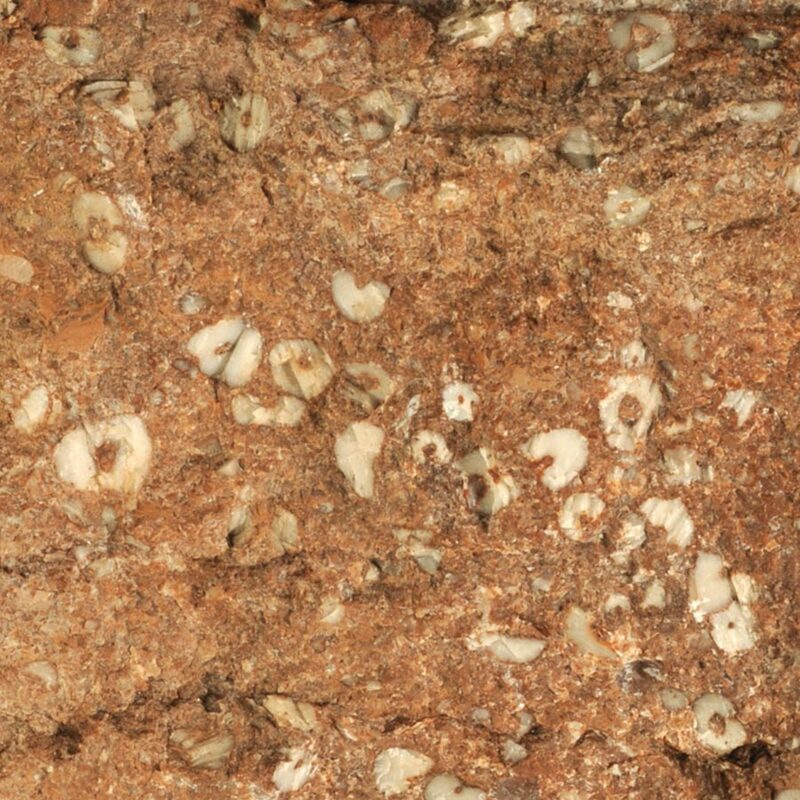 The seabed has been sinking throughout the entire Triassic Era. 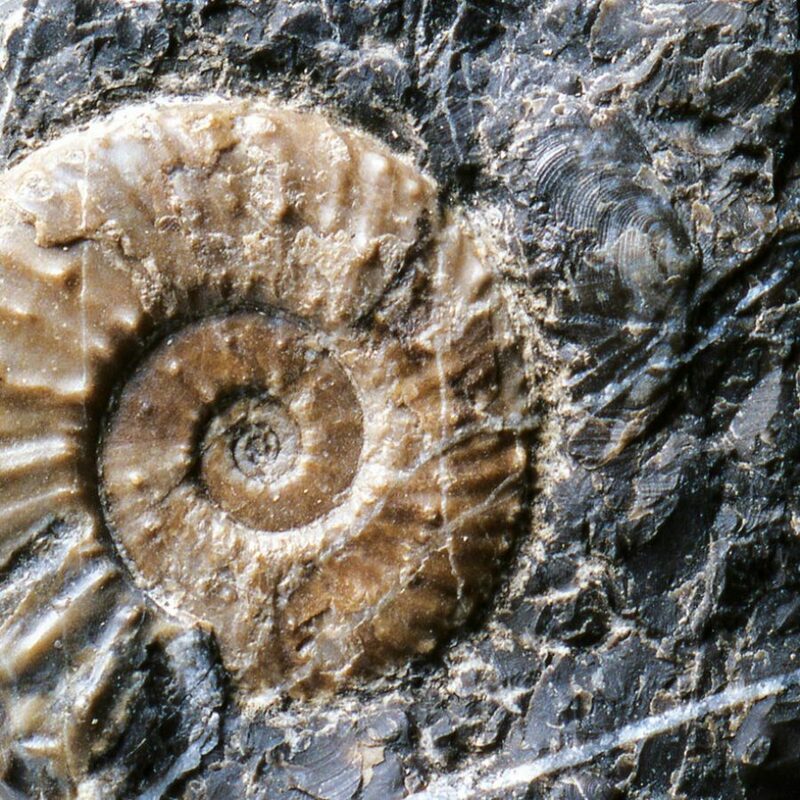 While it’s true that the sinking only amounted for fractions of a millimetre per year, this happened over a period of 45 million years. However, algae and marine animals lime residues compensated for the sinking, thus, the sea did not get any deeper in the meantime. With the beginning of the Jurassic Era 205 million years ago, the disintegration of the giant continent began. The exchange of deep and shallow parts of the sea has led to a great diversity of rocks deposited. Therefore, the Noth Gorge bears red limestone with numerous remains of sea lilies, animals related to starfish and sea urchins. Paradoxically, the Alps owe their existence to the advancing disintegration of the giant continent. With the uplift of the Alps, the Limestone Alps began to slip along with the greywacke zone towards the north and northeast. Still under water, the Limestone Alps pushed far above the edge of primeval Europe. During this process, the Limestone Alps broke into sections of different sizes which had often converged over miles. This is what we call the “nappes” of the Alps. One of these nappe boundaries is located at the northern rim of the Gesäuse Mountains. 135 million years ago, the next era of earth’s history, the Cretaceous Era, and along with it, the rise of the Alps above sea level began. Later, 90 million years ago, an island landscape emerged in the south of the Limestone Alps. At that time, the Limestone Alps were still pushing north. While parts of them went up, others sank over time. In the sinking parts of the mountains, deposits of sand and clay were left behind. One of these reservoirs can be found in Gams. The ice age which started about 800 million years ago had a major influence on the landscape. As the glacier receded, the ice melted, and the rising rivers and streams carried huge quantities of rock debris which the glacier ice had left behind with them. As the current subsided, the rocks, e.g. gravels, were deposited filling the entire width of the valley. Due to limestone deposits, gravel cemented into conglomerate. Following a recent ice age which ended 12,000 years ago, the rivers have cut deep valleys into the conglomerate. The rims, which have a flat surface and steep cliffs, form terraces that extend from Hieflau to Großraming in Upper Austria in the Enns valley, and from Fachwerk to the mouth at Großreifling in the Salza valley. Husen, D. van (2000). Austrian Geological processesduringtheQuaternary. Mitteilungen der Österreichischen Geologischen Gesellschaft, 92 (AspectsofGeology in Austria), 135 – 196.